“The Future Now” is a project that researches how media companies can anticipate fast changing media trends in technology and society to secure their own future business impact. It is thinking about what directions media companies should choose to develop their products. It wishes to know what a media company should be able to facilitate in two years time looking back from what it should be able to do in 10 years time. This results in vision of how we will handle several “viewing” devices (from public to personal), a view on a future typical TV evening and a strategy and business model for a future product of a content producing company. The media companies participating in “The Future Now” will be inspired by this product idea and its business model. “Almere Smart Society” is a movement, for and by the people, that strives for an urban society that fully uses the potential of ICT to improve living. It is thinking about how ICT can make city life better, easier, more affordable and nicer. It wishes to know how social media can make living, working, learning and playing better and nicer in Almere in 2018. This results in a compelling vision and practical strategy. Your vision is where you find your passion, and emotion combined with your unique skills. The strategy is your plan, with your goals, and what to do when. An concrete example, as output, needs to show the proof of the pudding. The people living, working, playing and learning in Almere will benefit from these outcomes. They live in different systems: like living well in smart homes; taking care of your personal well being by smart healthcare; or lifelong learning by smart education. You may take a trans-sectoral approach, across systems and domains, however, your example may also be an application within a single domain or system, like work or urban design & planning. It is up to you to find your smart approach with the greatest impact on urban life in Almere 2018. “Sixpac” is a project aimed at making people move through gameplay, in their daily life. It is thinking about what kind of applications and combinations of applications should be developed that generate incentives for people to move, either in the public space or specifically for VMBO scholars in school. It wishes to know what a PlayFit Store that logically combines all kinds of applications aimed at making people move more would look like. This results in an overview of the workings, products and marketing of a PlayFit Store, of possible market segments of user types, but also of possible uses of data generated by these apps, and an underlying business model to pay for it all. This product will be an example for future “quantified self” shops aiming at getting people to move during their daily living, working and learning. “Liander” manages the energy distribution network in a large part of The Netherlands. It has a responsibility to society to provide transport of natural gas and electricity, at a low cost. Liander is thinking about future innovations, but is limited in doing so because of regulations. Liander wishes to explore how to make better use of the data Liander has, through Open Data. Liander has lots of data, but is not allowed to use this data in applications due to the above mentioned legal limitations. Nevertheless, this data could be used by third parties in applications, for instance to facilitate the energy transition towards a more sustainable energy future. With Open Data, Liander ventures into unchartered territory for itself and its customers. Will its networks remain as reliable when data about them is made public? Will this lead to a faster and better energy transition and will it create new possibilities for society as a whole? 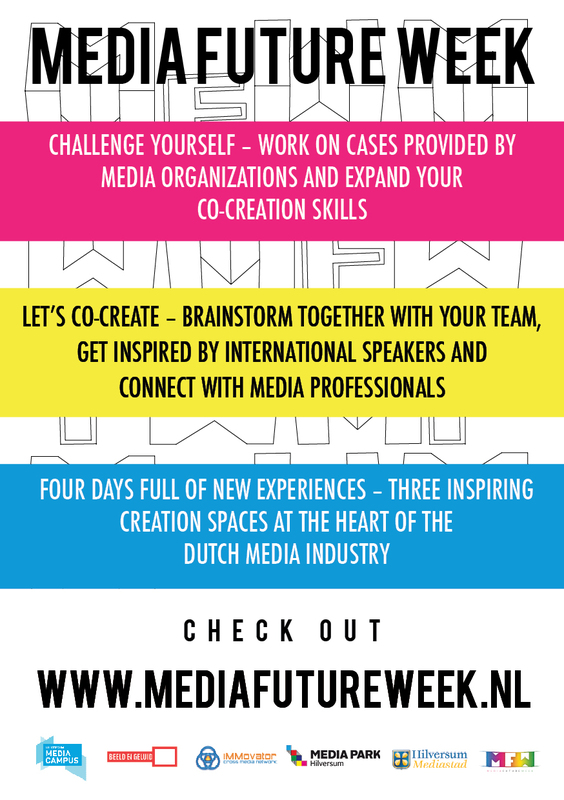 As a result of the Media Future Week Liander likes to see a number of concepts and demos of applications using open energy data, as well as a roll-out scenario for these applications to specific target groups. In addition, it would like a step by step plan describing which datasets to roll out when. Via www.liander.nl/opendata, Liander will offer several datasets to inspire and develop your concepts and demos.